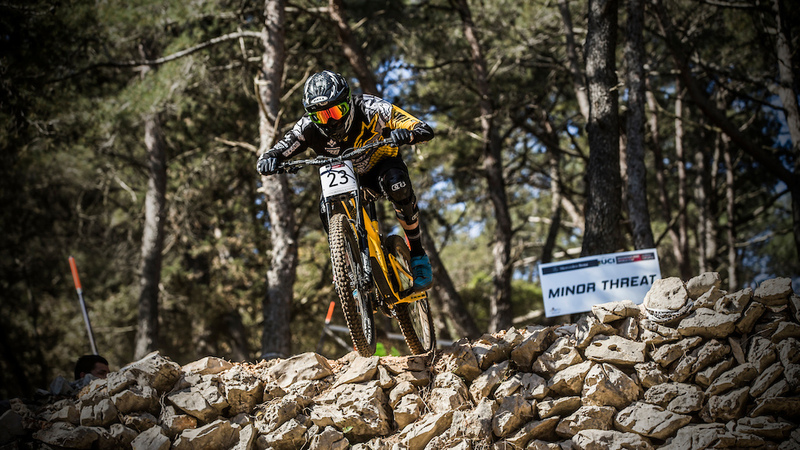 The Rage Carbon in 29” has already been tested diligently this season in the Downhill World Cup. British racer Phil Atwill and the newly crowned Austrian national champion David Trummer switched immediately to the big wheels after the first test ride. The Rage Carbon is now available with big wheels to all ambitious downhill racers. The Carbon frame didn’t need to be adapted for the conversion to 29”. The only things to change are the upper and lower rocker arms to optimize the height of the bottom bracket to 29” wheels, and the headset cups to compensate for the higher fork. All the parts for the conversion will also be available to purchase separately at a later date. The rear wheel’s jump from 27.5” to 29” is completely unproblematic thanks to the flip chip in the dropouts. 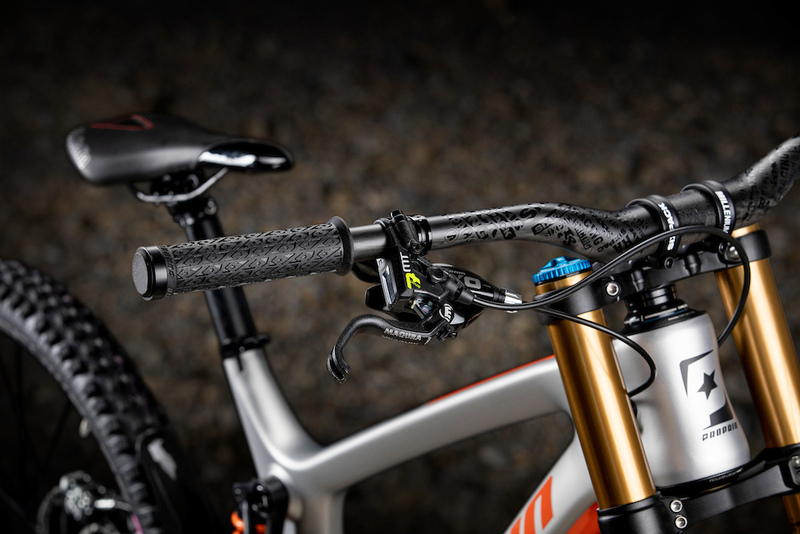 The innovative reach adjustment could also be retained on the Rage Carbon 29. This gives the rider the possibility to vary the reach by a total of 12 mm, from +6 mm to -6 mm. 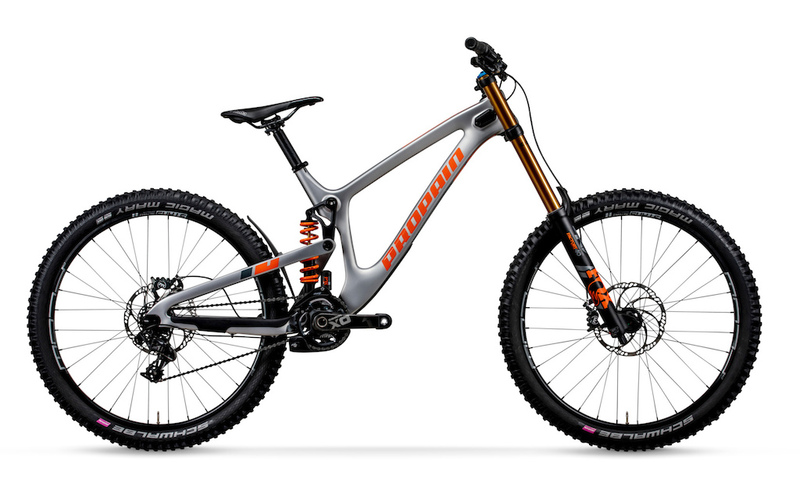 The Rage Carbon 29 is available immediately – and that’s alongside the existing Rage Carbon 27.5”, not instead of it. 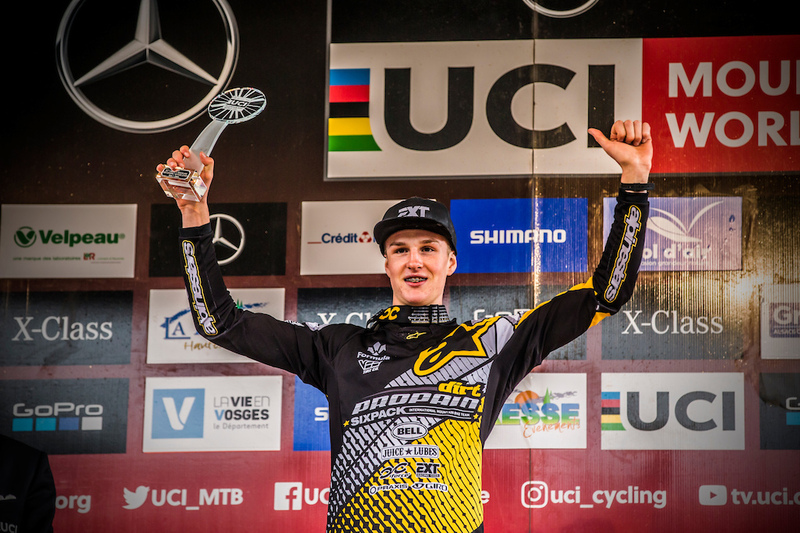 Junior rider Henry Kerr has proven this season that 27.5” doesn’t have to be any less fast, achieving an outstanding second-place finish in the Overall World Cup. The choice between 29” and 27.5” is therefore clearly a question of preference. We believe, however, it makes little sense for riders under 1.77 m to opt for 29” as the big rear wheel restricts the movement of riders below this minimum recommendation, negating the benefits. 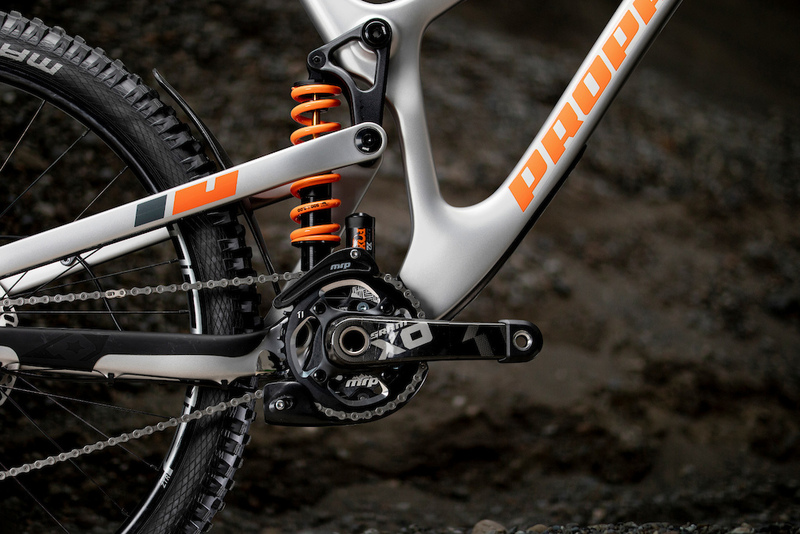 For this reason, we are only offering the Rage Carbon 29 in frame sizes L/XL. We are going in a new direction with the Specs. With the brand-new website and a new configurator, it’s possible to adjust every part. We only provide recommendations from Start through Performance to Highend, which serve as a starting point for the configuration and can be changed at will. Thus, customers can decide for themselves how to combine their parts. 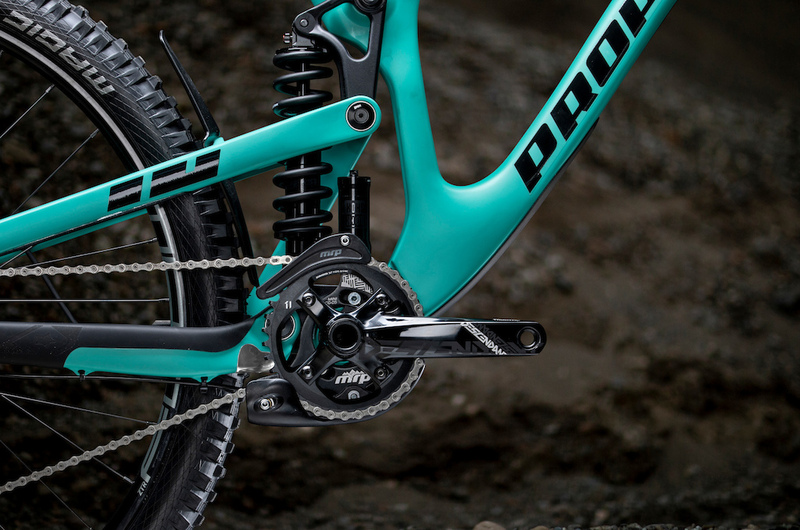 If the preferences apply to the suspensions, a Highend fork and shock can very easily be combined with an entry-level drive train. The Rage Carbon 27.5 and 29 can be ordered immediately in the colors Silver, Mint, and Carbon Raw from the online shop. In combination with three decal colors, this gives the customer many color options. For all those who are still undecided, or for those who want to convert their existing Rage Carbon frames, we offer two separate wheel size upgrade kits for 27.5->29 and for 29->27.5 soon. All further information can be found at www.propain-bikes.com. I was waiting for this!! @MikeAzBS: you got a C in English? Dammit Bobby, you SPEAK English. Dang ol I love Hank man, but dang ol everyday dang ol propane, propane, propane...dang ol what about my day? Can I put a gun rack on my bike? Do you know how long I've been waiting for you to ask me that? THAT'S MY BIKE! I DON'T KNOW YOU! I have no idea what just happened here! One of the sickest looking DH bikes! How do we get one in the states? Import one? Just as we do with your stuff. @NotNamed: Yeah but you don't have a mutated orange gnome standing at your borders trolling importers like we do. @LoganKM1982: poor fella its way worse than you thought we all have mutated pedo trolls at our borders . Co*Kblock the bottle neck its the way the west was won. "You can now get the Rage in both wheel sizes." - Pinkbike commenters have been doing that for a long time already. Dear pinkbike, why are side shots always from the drive side? It's the same cranks over and over again and never a clean linkage shot. This will definitely be my next DH bike please start shipping them to North America!!!!!!!! I guess now we can have a water bottle on a DH bike..
Super Sick bike and the colorway in blue is perfect. just wish they had an american dist! I think it's time the industry switches from the Drive Side glamour shot, to the Non-Drive Side. Drive trains are mostly all good now, and no longer the key selling feature. I want clear visual of what matters, what's going on with the frame? I like the way they have done the sizing (with the 27.5 anyway) just 2 frame sizes they need to make which will keep costs down but you get a 50mm range in reach sizes, and you can choose 10mm steps anywhere between, no more 30mm jumps between sizes which you fall right into the middle of. Shame the longest reach is only 461mm...not great for riders above 175cm. 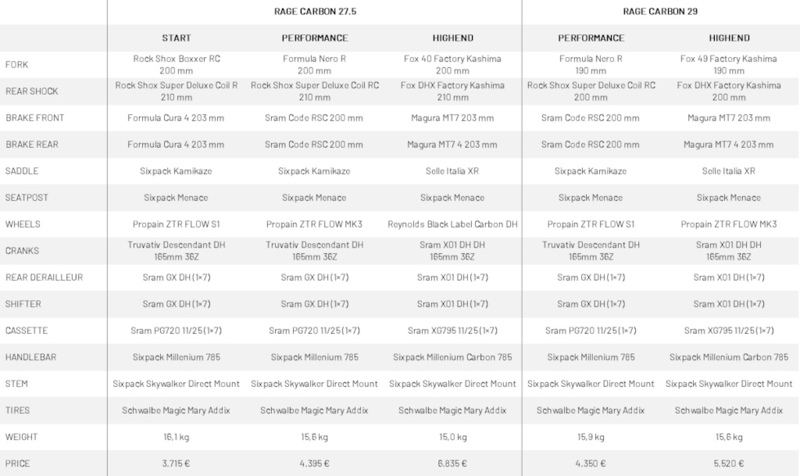 @SintraFreeride: i'm 178 and i wouldn't want more than 461 on a DH bike, id probably go with 441 or 451mm to be honest, an XL v10 is 450.8mm and recommended for 1.8m+ i don't think reach needs to be as long on a DH bike so the Propain would be ok up to 1.85/1.9m id say, its nice to have that customization within one frame though. @maglor: I'm 180cm and I wouldn't want to go under 500mm reach on any bike. I don't adhere to the idea that DH bikes should have shorter reach than trail bikes. Trails bikes are almost as slack as DH bikes and some of them already have longer wheelbases than DH bikes! 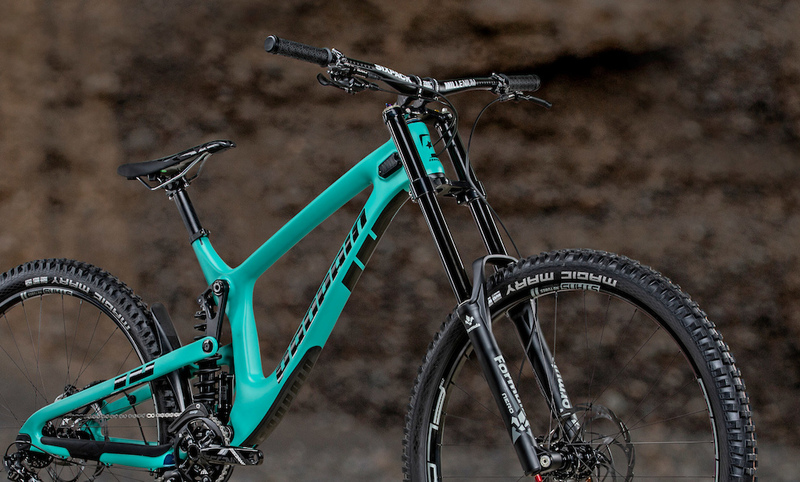 Santa Cruz bikes have had short reach for years, 450mm reach is an L or an M for other brands. I would be cautious of recommended frame sizes as brands keep making bikes longer and slacker each year so they don't come across as knowing what they are talking about...ride what works for you. I do think the customization within the frame is a great feature of the bike! @SintraFreeride: I appreciate some people prefer a longer reach but wanting 500mm at 180cm tall makes you quite an outlier id say so you're always going to have to go with one of the more extreme brands for sizing. I've tried quite a few different sized bikes including a 502mm reach geometron (medium for them) and i think it depends on the bike as to what size works best, the very steep seat angle and short stem on the geometron made it manageable although did still feel very big while some large 29ers with around 450-460mm reach felt bigger than the geometron due to big wheels, tall stack and slacker seat angles, i think it comes down to more than just reach really. Love the look of all Propains. Never seen one in the flesh. they're sweet in person too, saw a couple at whistler last year. 456mm of reach in XL? Really. Yeah that is more like an M! 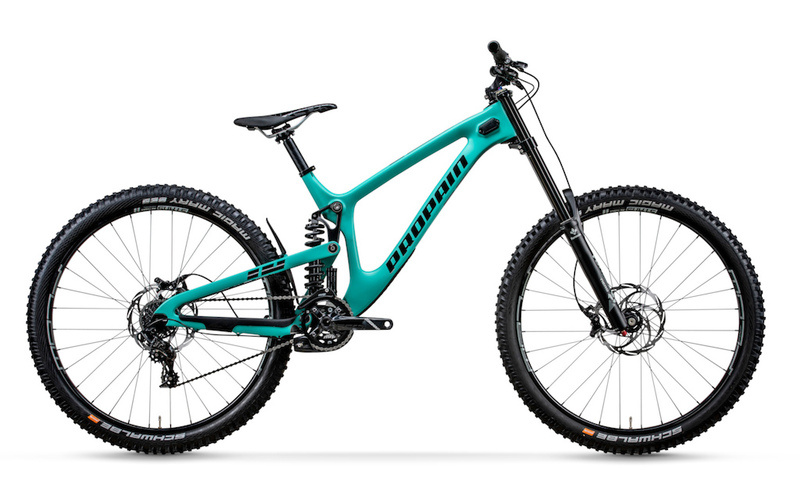 Not available in the US, so it doesn't matter much to me, but curious why/how the "high-end" 29er is 1,000 euros less than the "high-end" 27.5? Weird built kits on these. Why wouldn't the Nero R and Cura4 brakes be spec'd on a higher end build since that's what the WC DH team run? Because in Germany it‘s currently often cheaper to spec the European stuff, than the U.S. brands, so those are reserved for the higher specs, even if they’re not necessarily better. @FuzzyL: Cura2 so cheap in Germany I'm considering ordering a pair just to try them. I ALWAYS like these - it just looks like the rear suspension works like it should! Propain is a weird name. There's nothing good in pain. Yep tall riders only 29rs stoked to be short ha!! !